A galaxy of comedy stars are coming together for a special show to help motor neurone disease patient and campaigner Gordon Aikman raise funds for vital MND research. 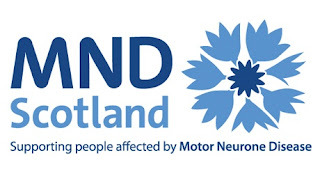 Stand Up Against MND will be held on Monday 14 March (7.30pm) at the King's Theatre Glasgow as part of the city's International Comedy Festival. Last year's show raised around £25,000 for research into MND. MND patient, campaigner and founder of Gordonsfightback.com, Gordon Aikman, has set himself a target of raising half a million pounds for MND research. He said: "I'm delighted that so many amazing comedians are coming together to help fund a cure for MND. Last year's show raised a bucket load of cash for MND research and I'm confident we can raise even more this year. Every ticket gets us closer to that £500,000 fundraising target."